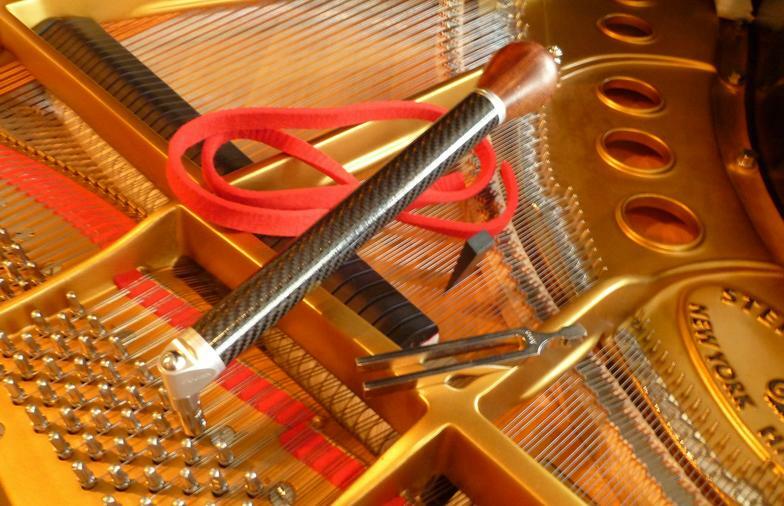 Tuning is the process of adjusting the piano strings to the proper tension. Unless otherwise specified, the standard pitch of A440 will be used as the pitch reference so that your piano can be played together with other instruments and the player will develop a trained musical ear. At Hallmark Piano Service, Alan's goal is to provide his customers with many high quality personalized services. ​A piano's keyboard and action is the mechanism that transfers your musical intention from your fingers to the piano strings. Thousands of parts working together allow you to maximize evenness, speed of repetition, and a wide range of dynamic control. Weather changes and wear to the action from normal playing can affect the relationship of the interconnected moving parts. Notes that are played more often can incur more wear, causing uneveness in touch, tone, and player control from note to note. Regulation is the process of making adjustments that reestablishes proper mechanical alignment of the piano's many action parts for maximum performance. Many repairs can be done in your home at the time of a tuning. Broken strings, missing and broken parts, squeaking pedals, sticking keys and wobbly benches are common issues. A wide variety of parts and specialized equipment is on hand to get your piano back into quick working order. 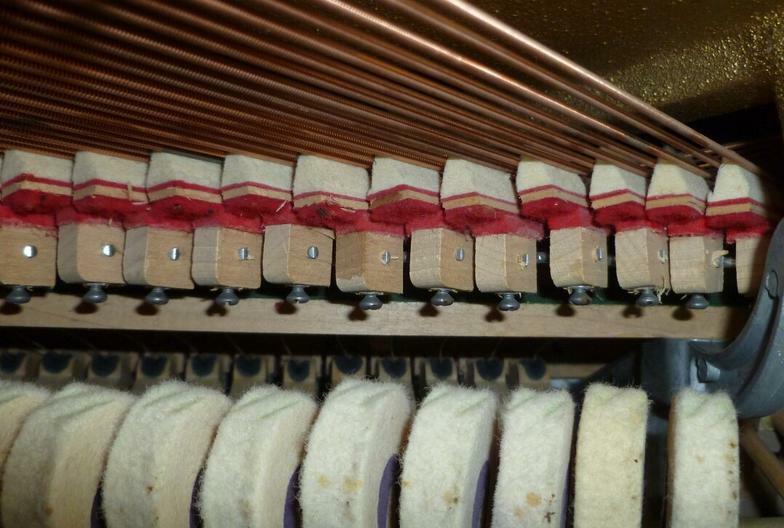 Some pianos, however, may require special parts orders or in-shop repairs that might take longer. Years and hundreds of hours of playing time compact hammer felt and add wear in the form of deep string cuts. Gradually over time the beautiful tone of the new piano that you purchased can become harsh and painful to your ears. "Voicing" to restore the piano's tone can be a combination of hammer shaping, needling, string leveling, action regulation and tuning. All these factors, along with the structural integrity of the instrument, need to be taken into consideration when evaluating your piano's tonal capabilities. Preventative maintenance of the piano's case and interior cavities with occasional professional cleaning helps to keep your piano looking new and inviting to play. 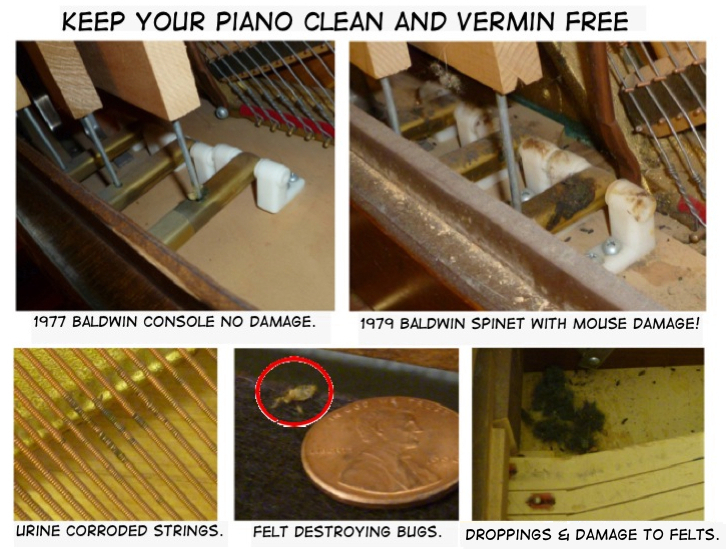 Dirt and dust under the keys, on the case and interior parts, combined with high humid conditions, provide an environment for mold and vermin to thrive. Mold spores can be found almost everywhere and can be a part of the general dust found in homes. These spores, along with excess moisture, can grow on the case and interior parts of your piano. Routine cleaning and inspection of the interior can help to detect problems before damage occurs. 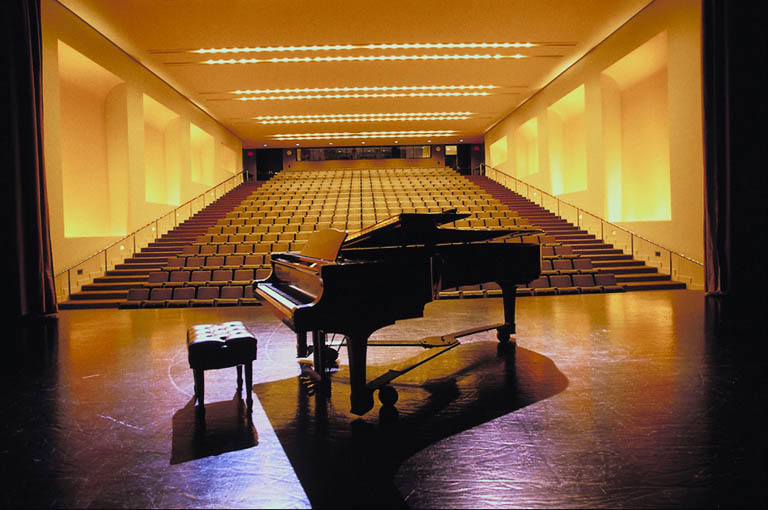 The Dampp-Chaser Piano Life Saver System helps to control moisture levels in the interior of the piano, reducing the problems that relative humidity extremes can cause. Alan has worked with Dampp-Chaser products since 1980 – he is a factory certified system installation expert. Ask Alan which system is best for your pianos' size and location. He carries system accessories on hand and they are available for purchase during your tuning service.